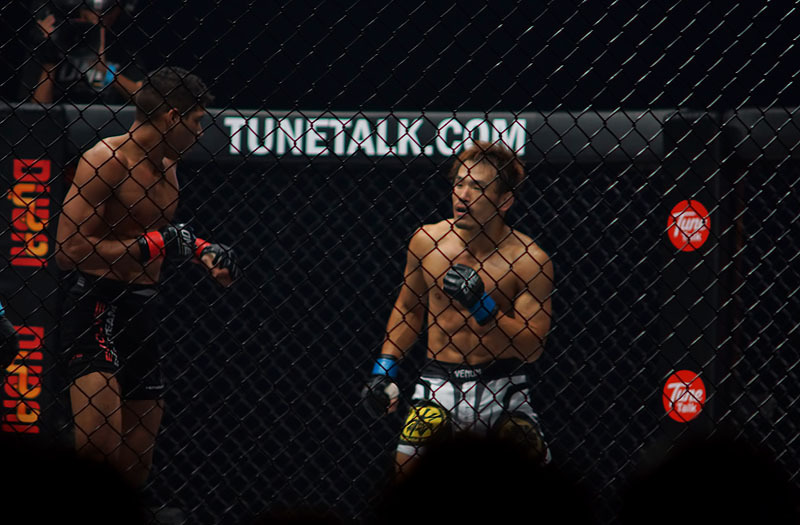 The First “One FC” took place in Dubai last Friday, and being able to be there and cover the event was an experience that was not to be missed. A very special thanks to #JustinNG for this great opportunity. Featuring 3 huge World Championship Title Fights and 6 other fights, this event was the largest event for Mixed Martial Arts to be held in Dubai. With an audience of over 5000 to witness this event, the evening was a buzz of activity and noise. The pretty ring girls added to the excitement as they went round the “cage” announcing the rounds. The contenders caused a lot of excitement and an adrenaline rush as they walked into the arena where they changed up, and after being checked by the officials, entered the cage. 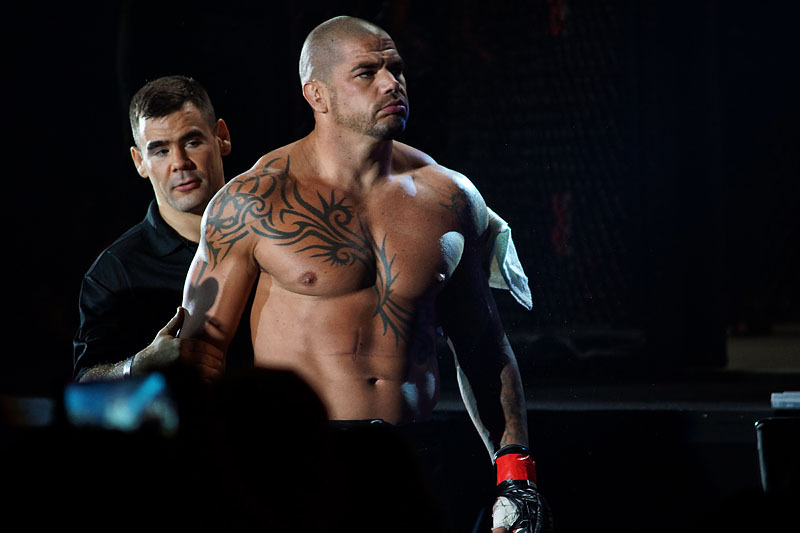 This image of James McSweeney is just one of the views of the fighters. Two of the reigning World Champions lost their crowns to the contenders, while Shinya Aoki was the only one who retained his title. Taking these images were not easy, there was very limited and erratic light, lots of smoke and the fighters kept moving around in the cage rather quickly. Added to that was the fact that we we unable to get close to the ring…we had no access, the limited spots near the ring were already given to others. But it was a huge opportunity,and we grabbed it, and were determined to make the best of it…its not always that you get a chance to cover an event like this. 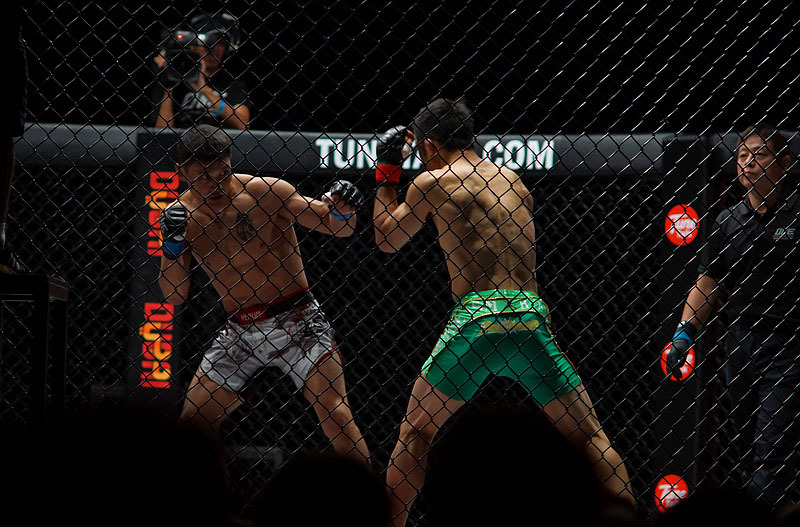 This entry was posted in Event, Sport and tagged Action; sport;, Fight; Dubai; One FC; United Arab Emirates; MMA; contenders; Audience, Reign of Champions on September 5, 2014 by pkphotography.